New Delhi [India], Jun 9 : Union Minister and BJP leader Arun Jaitley on Friday raised serious concern on the "increased Maoist activities" in areas other than usual extremism affected areas while targeting "some political parties" for using them against the ruling NDA. 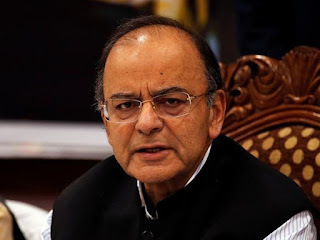 Jaitley, who made this statement in the wake of the recent arrests in the Bhima-Koregaon violence case, also attacked political parties for using Maoist as an instrument in the "anti-NDA cause." In a blog, the union minister termed the increased activity of Maoist as a "dangerous tendency which all political parties must realize and react to." "The Maoist believes in the violent overthrow of the constitutional system and not just the government. In their perceived system, there are no fundamental rights, no rule of law, no Parliament and no free speech. But to expand their political base, their sympathizers make full use of the democratic idioms," he said. Jaitley said extending any kind of support to such groups is just like "riding a tiger". On Thursday, the Pune police told a court that they were in possession of a letter that talks about the assassination of Prime Minister Modi in "Rajiv Gandhi-type" incident. The letter was seized from the residence of one of the five people, arrested in connection with the Bhima-Koregaon violence.